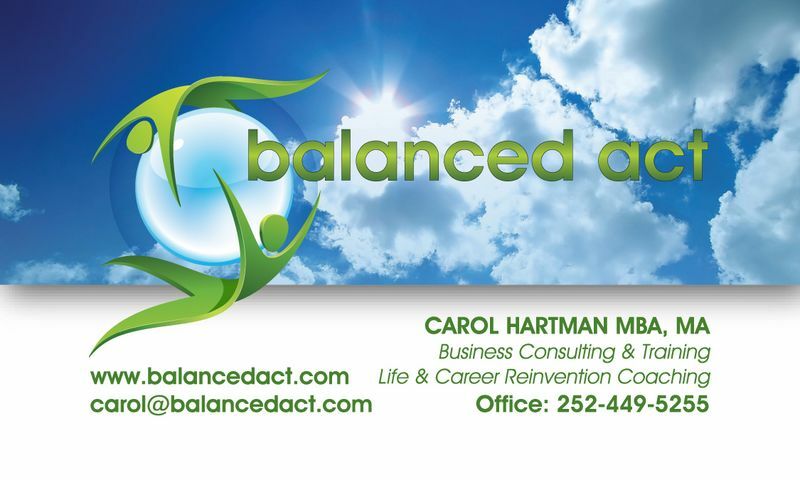 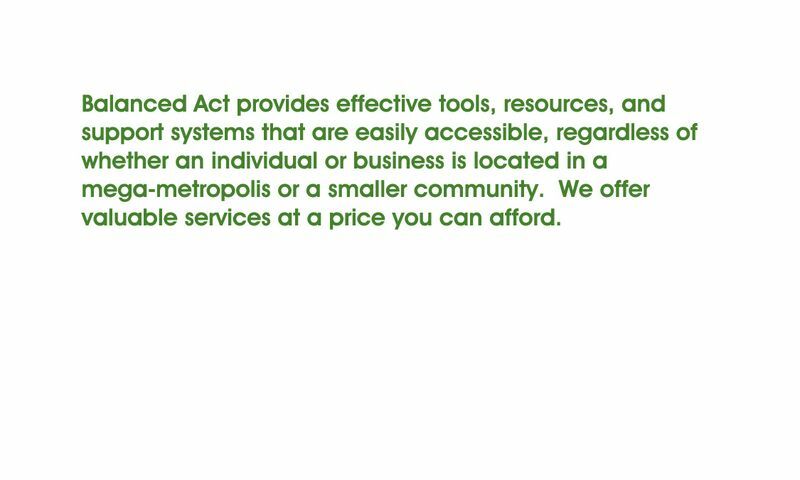 Business card design for Balanced Act, a provider of business and personal consulting, training, and coaching in Kill Devil Hills, North Carolina. The card also features a flip side which allows space for a few statements about the services Carol offers. 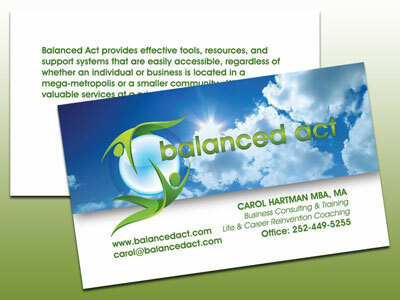 The cards were printed on a thick 16 pt stock with a gloss finish.